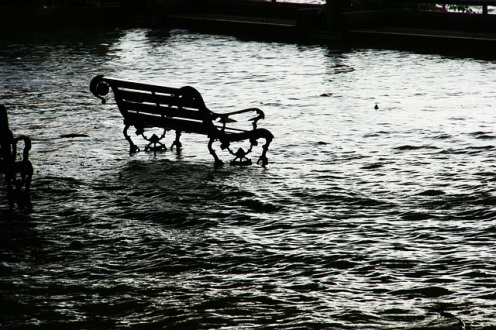 Flooding can occur at any time and can cause large amounts of damage in a matter of minutes. When it does, there is a short amount of time to react. Obviously, your first concern is to ensure the safety of your employees, your business, and yourself. In order to do that, you should take steps before a flood to get the best outcome possible. First, have copies of important documents and phone numbers at your business and at home. Have copies of insurance papers, deeds, employee information, and phone numbers for flood repair services. Keep these papers in waterproof containers in easy to access areas. This way, if you cannot access them at your business, you can still have access to them in another location. Next, have a meeting with your employees about what to do if flooding occurs. Go over building safety procedures, how to keep equipment safe from flood waters, and what to do if customers are there when flooding occurs. Finally, take action to secure your building and minimize damages. Keep gutters and drains clean and ensure proper drainage. Set up additional drainage safely away from the building where water can pool. By taking the time to protect your business from flooding, you can minimize or eliminate damages completely. If you do have any damages, call DKI to begin flood repair services on your business. Our experts can quickly assess damages, dry out the water, and help you reopen for business.